"Preparing student leaders for a life of service, learning and success." 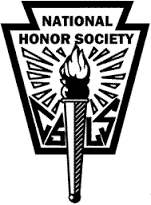 The National Honor (NHS) Society is a nationwide club in our school that is built on members whose goal is to help the students in need of guidance on their school work. Mondays and Tuesdays after school from 3-4pm.